I’ve been playing a lot of Slothwerks’ Meteorfall, as I got it a few weeks ahead of release and couldn’t put it down. My current high score is 315, which had me at the top of the global leaderboards until a few people knocked me down a bit. 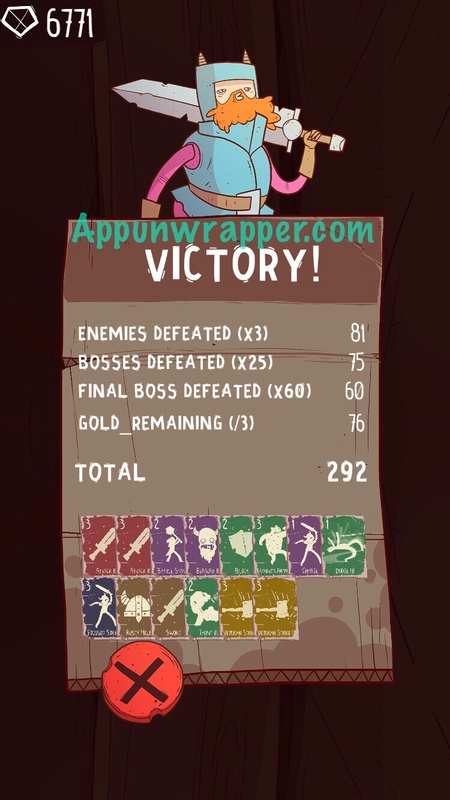 But I’ve beaten the game with all four characters and feel I have a pretty good handle on things to help others out. This is a work in progress and I’ll add more tips as I think of them. Feel free to also add your own in the comments section. Note: Right now there’s an exploit in the game that kind of makes chasing a high score feel less satisfying. But these tips should still help you chase one. – First off, don’t worry too much about your score at first. Just focus on completing the game. – Don’t run out of health, no matter what. It means game over. So if that means skipping a battle to gain some extra HP and lose out on XP, do it. You will also miss out on 3 points per enemy skipped, though. So if you’re chasing a high score, you don’t want to skip too many battles. – Each dungeon has a number of monsters you can see on the compass off to the right. It counts down and when you see the number 1, you’re about to fight the boss. – There are three dungeons with one boss each, and then the Uberlich right after the third boss. You get 25 points for each boss you kill and another 60 for the Uberlich. So, as you can imagine, you need to finish the game to even stand a chance on the leaderboards. 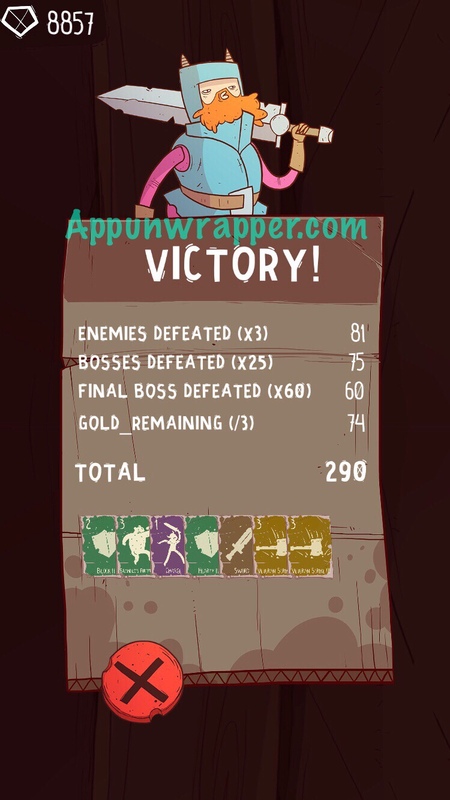 – After each game, your score is turned into gems. Once you have 100 gems, you can unlock a special card for one of the characters. Each character has three cards to unlock. Once a card is unlocked, it will replace a basic Attack card in their deck. It will always be in your staring deck. So focus on earning those 1200 gems if you’re having trouble with any of the characters. – I always choose Health over Stamina when I level up. But feel free to experiment. – At the end of the game, any gold you have left is divided by 3 and added to your score. So stockpiling gold is the only way to have an edge over other players. It’s the only difference in your score, since everyone defeats the same number of enemies. If you really want a high score, you need to try to not spend any gold. – All cards besides potions can be upgraded at the Blacksmith to level 2 for 10 coins and then to level 3 for 15 coins. There are no upgrades available past that. – Potions are single-use. Try to save them for boss battles or use them when they seem like they’ll save you from death. – When you start off, any cards you find (besides potions) in the Shop, Blacksmith or through random encounters will be level 1. After you defeat the first boss all cards you find will be level 2. After you defeat the second boss, all cards you find will be level 3. This means, you want to try and avoid taking cards early on, as they will be weak later on. Picking up cards later instead of earlier will mean less upgrading and more coins left at the end of the game. But it also makes the early part of the game harder because you have just your basic cards to work with. If you do scrape by through the first boss that way, your deck will be stronger later. – If you’re trying to keep your deck lean early on and get forced to choose between new cards, choose something you can make good use of. If you really don’t want a level 1 card, take a potion if given the option. Bruno has some basic attack cards and some defense. Unlock his Veteran Strike card as as soon as possible and upgrade it! It’s strong and worth the cost of the gold. Boast: This can upgrade a basic Attack card if you manage to kill an enemy with it. You can try to do it early on, but you’re relying on a lot of luck here. I think you’re better off just getting rid of all the Attack cards so your Veteran Strike appears more often and is stronger. Get rid of this card, too, f you can. Try to keep his deck lean with a few strong cards, because he runs out of Stamina easily. Hearty: Gain 2 Stamina and immunity to basic attacks. Taunt is useful as well! So is Charge, Battle Stance and Focused Strike. And Plate Armor is a nice freebie! If you get rid of all your basic Attack cards and Boast, you can use a Charge to double the damage from Verran’s Strike, doing 30 or so damage! Veteran Strike, Charge, Block, Hearty, Bramble’s Fortitude, Sword. Maybe Focused Strike and Dodge if you’re so inclined. Play around with others and see what works for you! 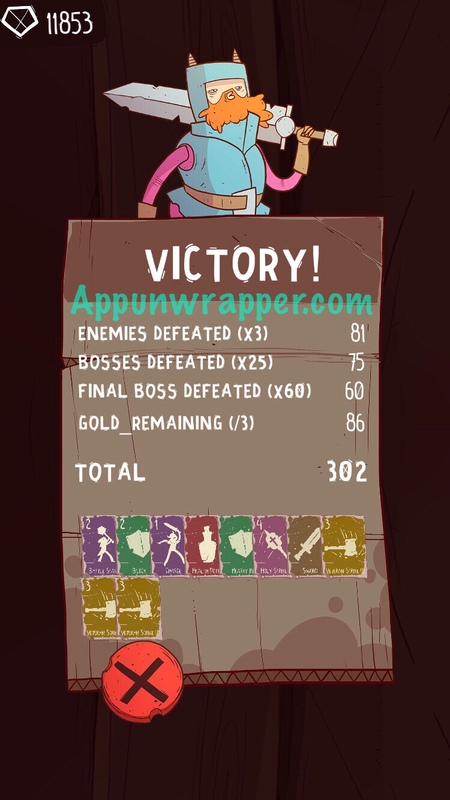 I managed to get a score of 314 with Mischief by never spending a single coin! 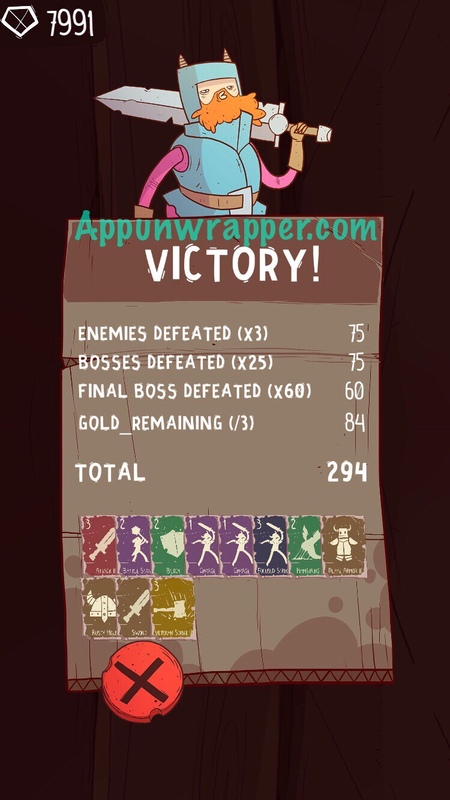 I got lucky with Temples and then made do with my basic Stabs and Eviscerate until I found upgraded ones in treasure chests. He’s the easiest to win with. He has strong spells and doesn’t have to worry too much about Stamina. Get him some defensive cards like Mana Shield to play it a bit safer. Lightning Storm: This is one of the bonus cards you can unlock and it’s fantastic. Get it and upgrade it. Keep it fully charged as much as possible. Zap: This is also super powerful. Keep it fully charged! I don’t really like Arcane Shock unless it’s upgraded, because it can leave you with a bunch of uncharged cards for not enough payoff. Try to replace it with better cards if given the opportunity and I don’t recommend picking up More if them unless you have a few Mind’s Eye. Mind’s Eye: If you find this, grab it. It’s a free-use card that costs nothing but restores charges to random spells. Inferno: This is a great, strong fire spell. Ice Bolt and Fireball are pretty weak at level 1. Try not to end up with too many that aren’t leveled up. Meditate is needed to recharge spells, but don’t overwhelm your deck with them. I’m not a big fan of Shadowburn or Shadow Pact, but they’re still better than the basic Attack cards. I think. Honestly, they can mess you up. Try to find better cards with her. Hannah’s Protection: This is useful! Try to upgrade it. Smite: This is a pretty good card if you can manage to keep healing Rose and allow it to do its full damage. Heal and Great Heal: These are Rose’s lifeblood! Keep them charged! Dodge: It only costs 1 Stamina but can make all the difference if enemies don’t hit you! I forgot the name of this card, but it’s purple and deals damage while also giving you 20% dodge at level 1! I’ll be back with more later. If you have a specific question, ask in the comments section. A good Mischief deck is to remove (almost) everything except for the cards that deal 1 damage and give you 1 more speed. With those and a sword 3 and an eviscerate in the deck you end up cycling your entire deck once or twice on turn one. In this deck, a late eviscerate deals upwards of 40 damage! 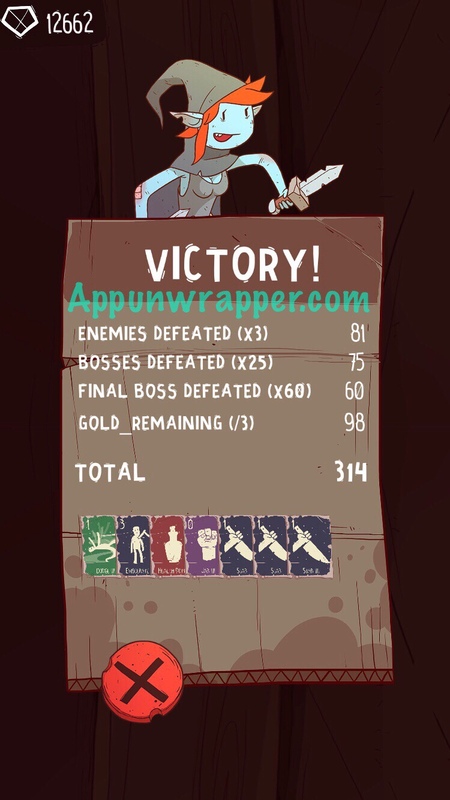 I beat the lich on my very first turn with a little luck and a stamina potion. Anyway, good guide, and cheers!